Not only educational this film is both compelling and easily enjoyed by experienced linguists and the general audience. If you are like me, Conlang is not a topic you are familiar with. Fellow nerds will recognize the well known Klingon (Star Trek) and Dothraki (Game of Thrones) language as a constructed language yet there is so much more to the creation of language than one would expect. I had originally thought the film would focus on these popular languages and was pleasantly surprised that a large portion of the film was spent focusing on the other aspects of ConLang. The documentary did acknowledge the use of originally constructed languages in various pop culture mediums has started to draw attention to the craft; spawning things like a Duolingo course for High Valyrian. It’s also important to point out how constructed languages can play pivotal roles in the storytelling. Jason Momoa, HBO’s Game of Thrones’ Khal Drogo, elaborates on this by describing his experience with the Dothraki language. The language itself assisted Moama in creating and becoming one with his character, noting that speaking his lines in English would not have the same cinematic effect. Constructing languages is not a new craft, and the documentary was sure to touch on the history behind language creation. It is an educational piece that gives the viewers background on the linguistic history and how conlanging is not a new skill or hobby. It has been around for centuries, used for both practical and personal reasons. More recently, it has contributed with language learning techniques in the assistance of saving of dying languages. 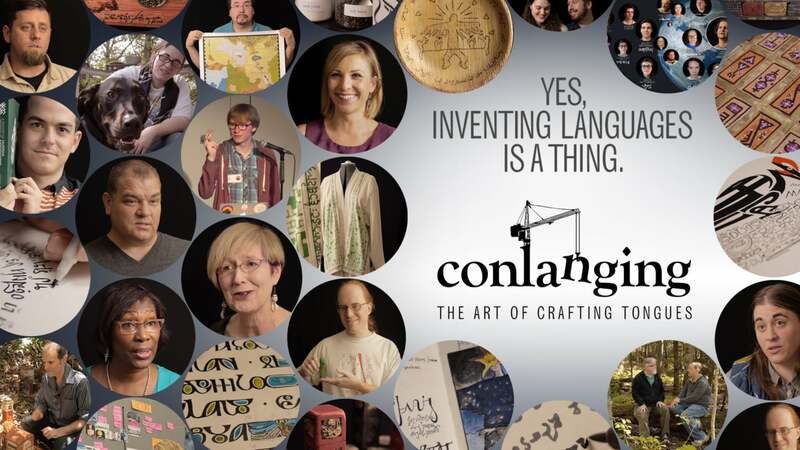 Educational usage aside, the documentary’s greatest strength lies in the exhibition of the Conlang community. 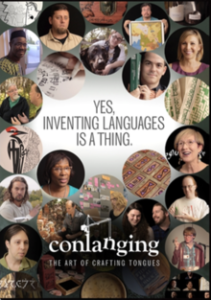 The film follows various Conlangers from all over the world, telling their individual stories of why and how they conlang. Some create their own languages never to be seen by others. Others share their languages within the community online; while some see conlanging as an art form or a way to express themselves. Each story highlighted within the film was intriguing and stirring, bringing a personal touch with every individual. 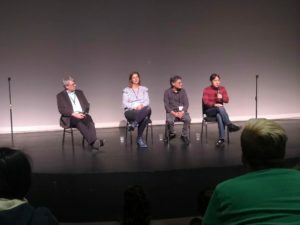 The University of British Columbia recently hosted local screenings followed by a panel. In attendance at my local screening were Panelists: David J. Peterson (Executive Producer; Dothraki, High Valyrian, etc. 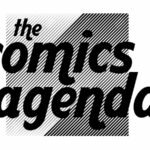 ), Marc Okrand (Associate Producer; Klingon, etc. 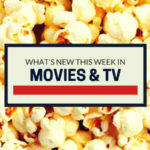 ), and Christine Schreyer (Executive Producer; Man of Steel’s Kryptonian). Each told their own stories of how they got into Conlanging; whether it be the product of a hired job or through the creation of their own individual languages. Speaking to the audience members, they made sure to emphasize how important it is studying other languages as it helps one understand a culture. It is also a key factor in creating your own language. By the end of the panel and screening, I was deeply inspired to begin studying various languages and even possibly construct a language of my own one day. It was a night I will not forget any time soon. 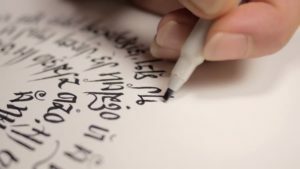 Whether you are a self-proclaimed nerd, love linguists, or just have a curious mind, Conlanging: The Art of Crafting Tongues is both a fascinating and educating experience. 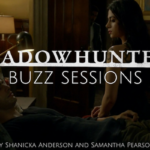 Verdict: Watch it. Conlanging: The Art of Crafting Tongues can be found online at iTunes, Amazon, and its official site. A hermit who enjoys video games, comics, and everything science fiction.